By Aimee McCarthy | April 17, 2012. 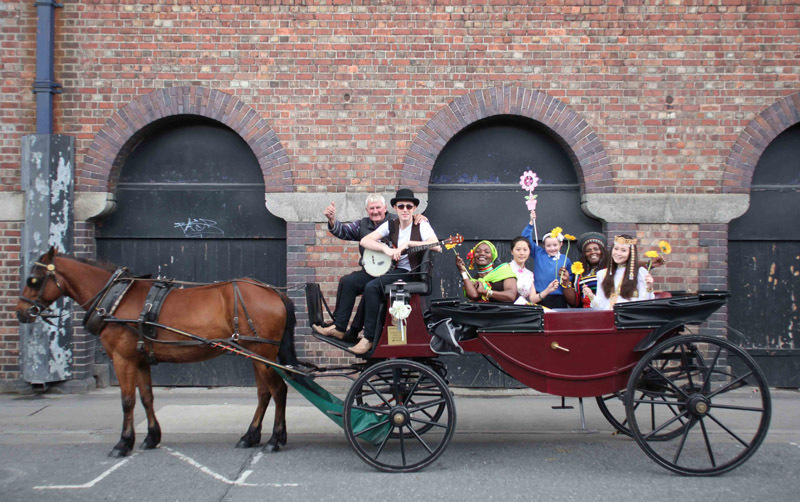 The Liberties festival has been improving every year and is now coming into its 42nd year. The team of people who work on the festival are committed to make 2012 its best one yet. The festival will take place on the 18th – 22nd of July. This is the first year that the festival has happened in July due to heavy rain in previous years. This is Mr. Conlon’s second year involved with the festival and he is enthusiastic to make it better than even before. This year the aim of the festival is to include more tourists and attract more people to the community. “People should be watching around for things happening in The Liberties that might be the Maser project,” he explained. The Nighthawks event is one of the main events of the festival. It is one of the few events that has a cost attached to it but don’t let that put you off. Mr.Conlon recommends that anyone interested should buy their tickets early as it sold out last year. It takes place in the Guinness Storehouse and is a night full of comedy, music and poetry. Acts from last year include The Flaws, Vyvienne Long, Fiach Moriarty and many more.